There’s no two ways about it: 2018 has been a banner year for the smart home market. It can’t have escaped your attention that the smart home automation market has exploded over the last few years. With home automation prices ranging anywhere from just a few hundred pounds to in excess of £100 grand, how exactly do you go about planning a budget for your next smart home installation? If there’s one question we’re asked more than any other here at Pro Install AV, that has to be it. Regular readers of the Pro Install AV blog will know that our home automation installers are always among the very first in the industry to bring you up-to-date news and expert insights on how you and your loved ones can use the latest innovations in smart technology to transform your property into a state-of-the-art smart home. 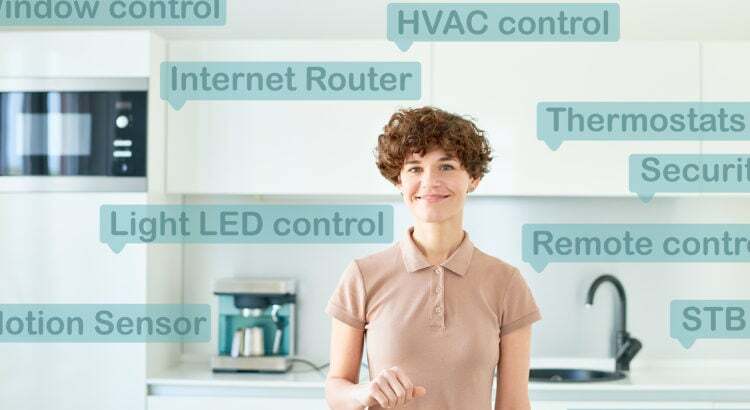 There’s no mistaking it – the home automation industry is in the middle of it’s biggest boom periods in years, bringing with it a whole new generation of smart home installers. Yet when it comes to adding state-of-the-art luxury to your home, how do you really know that the smart home company you’re working with is one you can trust? After a winter that felt as though it was just never going to end, summer finally arrived with a bang last month, and the good news is that it’s well and truly here to stay. It’s no secret that Amazon have made a huge impact on the home automation market in an impressively short amount of time, making products like the Echo and its baby sister, the Echo Dot, the quintessential must-have gadget of the last few years. How a smart home automation installation could be the one missing ingredient your development needs to really attract new buyers. Amidst fierce industry competition and the ever-increasing demands from property buyers for affordable, quality housing, making your newly developed property an irresistible proposition for those buyers can seem like an impossible challenge. Fuelled by the unprecedented popularity of smart speakers like the Amazon Echo and Google Home, smart home technology has truly become one of the most talked about developments of the last several years. So, you’re serious about adding value to your home, yet whenever you mention it, you’re met with a wealth of conflicting ideas on how exactly you should do it. Lutron vs. Control4 vs. Crestron: Which Brand is Right For My Home? As the leading home automation installers in London, Pro Install AV have worked with scores of homeowners across the capital transform the way they live thanks to world-class smart home control systems from Lutron, Crestron, and Control4. From managing your home energy usage to playing your favourite movies and even keeping the place tidy, there isn’t much you can’t do with smart home technology these days. As the leading Crestron dealers in London, Pro Install AV were privileged to spend 2017 working with scores of homeowners in transforming their properties into state-of-the-art smart homes equipped with the very latest home automation technology. Always thought smart technology was just about turning the lights on and the heating down? Guess again. Here, London home automation installers Pro Install AV explain how modern technology can turn your home gym into a place you’ll truly love spending time in. So, the holiday season is behind us and you’ve finally finished off the last of the mince pies… and the turkey sandwiches…and the Quality Street.